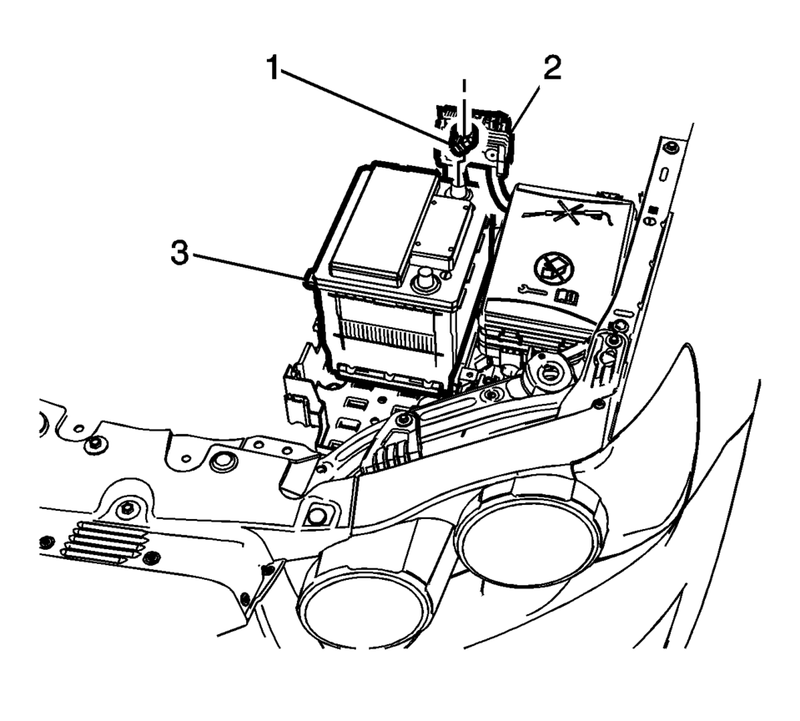 Remove the battery retainer bolt (1) and the battery retainer (2). Loosen the battery positive cable junction bolt (1). Remove the battery positive cable with the junction block (2) from the battery. Remove the battery (3) from the battery tray floor. Install the battery (3) to the battery tray floor.. Install the battery positive cable with junction block (2) to the battery (3). 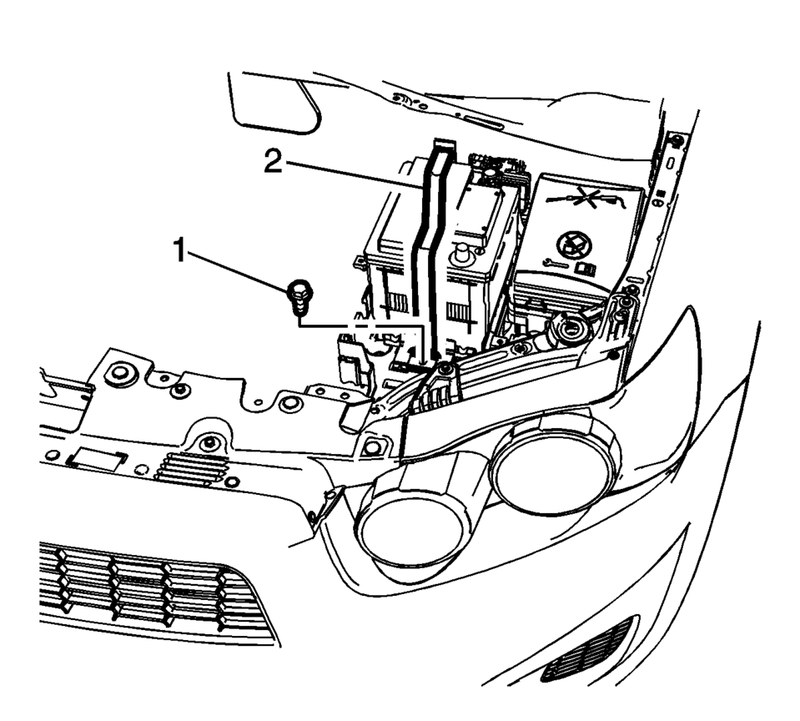 Install the battery retainer (2).